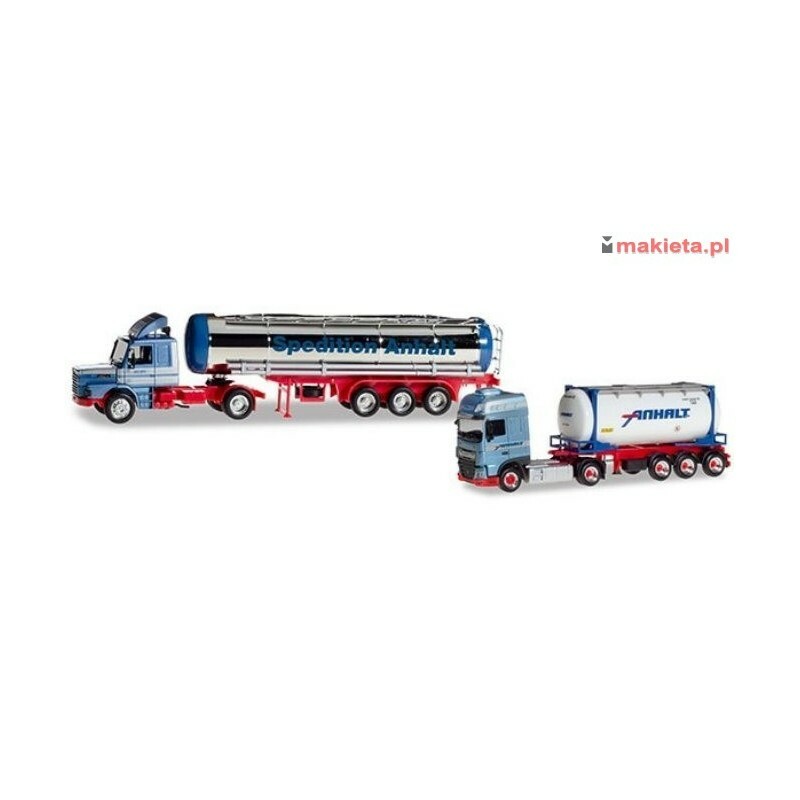 > H0 - SAMOCHODY>ciężarowe>Herpa 310369, Zestaw: 2 modele (Scania + DAF) "50th anniversary Spedition Anhalt", skala H0. Herpa 310369, Zestaw: 2 modele (Scania + DAF) "50th anniversary Spedition Anhalt", skala H0. Kabiny: błękitny metalik, felgi i cysterna: lustrzany chrom. 310369 Set with two models "50th anniversary Spedition Anhalt"
Herpa has been producing miniature models for Spedition Anhalt since the early 1990s. To celebrate its 50th anniversary, the shipping company from Rehm-Flehde-Bargen near Bremen commissioned Herpa to produce a classic model and a current container semitrailer as a strictly limited set.